At Comfort Center for Dentistry, the patient comes first! Because your needs and desires are our primary concern, you will always receive the highest quality dental care in a relaxed, Christian environment. Dr. Wren understands the importance of getting to know her patients in order to better tailor their treatment to their individual needs. We schedule extra time for initial visits so that she can give her undivided attention as patients relay important information: problems they perceive they have, treatment they desire, information about past experiences. She takes time to really listen. The fact that patient care is our main focus means that you can relax while we ensure your smile is bright, beautiful, and healthy. Services provided include cosmetic dentistry and teeth whitening procedures in addition to general preventive and restorative care for patients of all ages. Comfort Dentist, Dr. Kendra Wren is dedicated to cosmetic dentistry such as Exams, Teeth Whitening, Veneers and more. 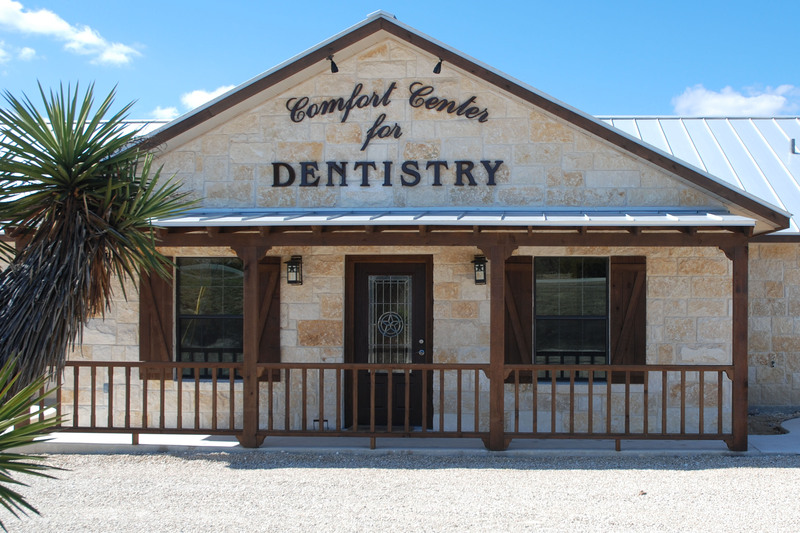 We are looking forward to your visit to our Comfort, Texas dental office.